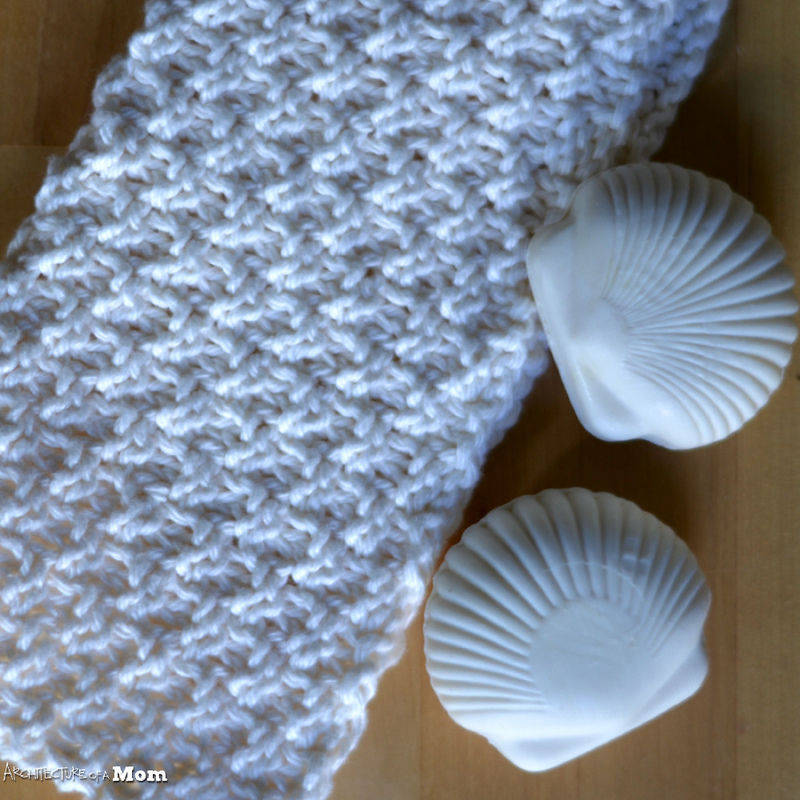 Are you learning to knit, but looking for an easy project that you finish in a jiffy? Or are you an experienced knitter who wants a repetitive pattern that makes something useful? 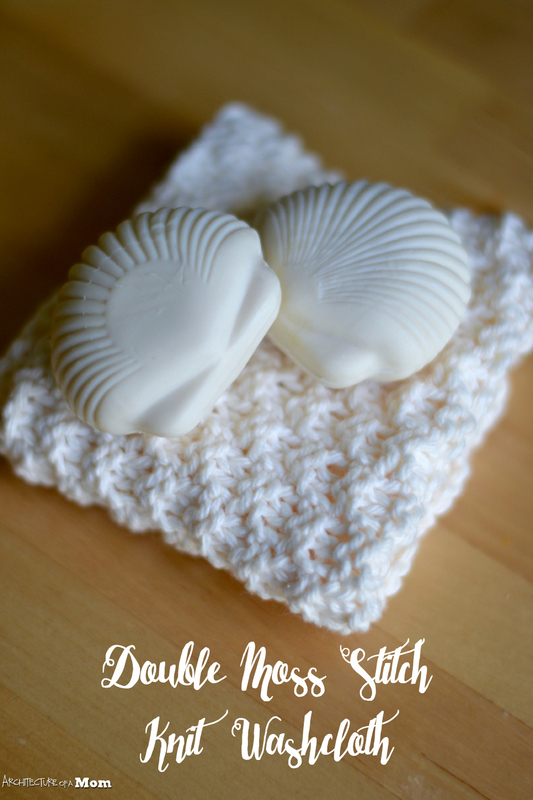 Either way, you can make this simple wash cloth that's perfect for home or as part of an amazing spa themed gift. 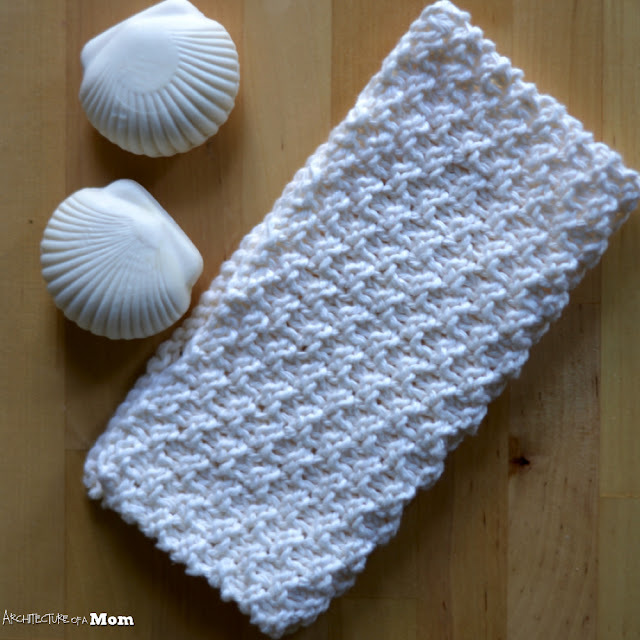 You can even use a cloth like this as a scrubby dishcloth. What makes the scrubby texture? The double moss pattern! A double moss is alternating 2x2 knit with 2x2 purl squares - a simple pattern that gives lots of texture without a lot of complexity. Row 1: * Knit 2, Purl 2, repeat from * and end with Knit 2. Row 2: * Purl 2, Knit 2, repeat from * and end with Purl 2. Row 3: * Purl 2, Knit 2, repeat from * and end with Purl 2. Row 4: * Knit 2, Purl 2, repeat from * and end with Knit 2. Repeat Rows 1-4 for 56 rows total, or until your pattern measures as long as it is wide. Bind off. Work in ends. Enjoy a brand new wash cloth!